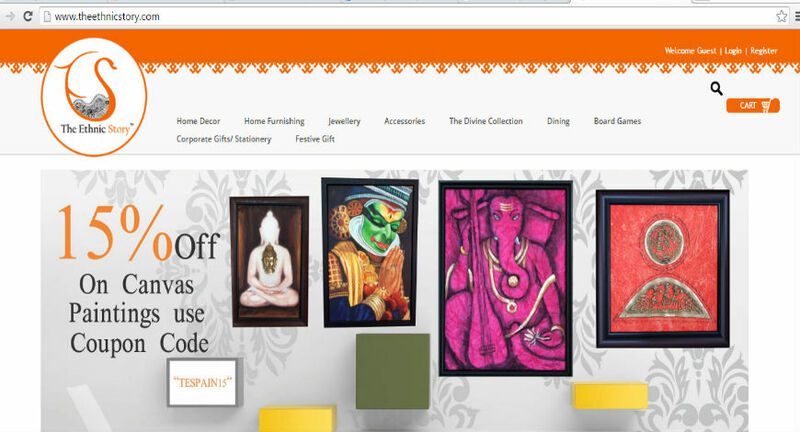 It’s an ecommerce brand that brings under one banner the work of craftsmen, designers and manufacturers. Ranging from home décor to board games and jewellery the startup aims to promote the proud heritage of India's various artistic traditions to the world even through the many challenges it faces with revenue targets, talent and funding. According to India Brand Equity Foundation (IBEF), “In 2014–15, Indian handicrafts exports stood at US$ 4.5 billion, up approximately 15.4 per cent over the previous year’s exports.” Here’s what founder of Bangalore based ecommerce start up The Ethnic Story, Varun Bantia has to say about his venture. After I finished my Bachelors I went to Glasgow to do my Masters in 2010. That’s when I was exposed to the concept of buying online. Soon after I completed my Masters I joined Amazon where I worked for almost three years and realized the endless availability of innovative handcrafted products that the masses are uninformed about. I myself am ethnically rooted to Rajasthan, the land of royal heritage, and decided to combine my love for ethnic handicrafts and the knowledge of ecommerce to create a platform that caters to all the ethnic needs of the masses at the comfort of their homes. 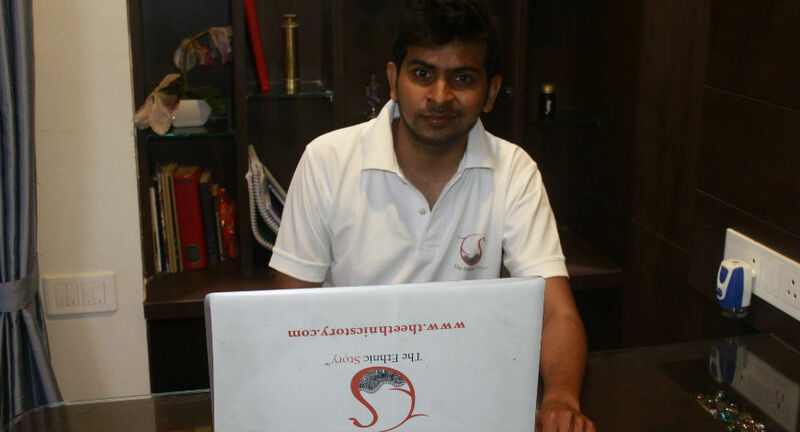 This gave birth to the idea of The Ethnic Story and the website was launched on 28th August, 2015. What is The Ethnic Story about? As India is a country of many religions & customs, it was indeed a big challenge to come up with a like-minded generic brand which everyone can relate to. Thus the name”The Ethnic Story” was born. Be it an ethnic makeover for your homes or a perfect ensemble for an ethnic occasion, from incredibly handcrafted gifts to creative artefacts that make a statement, we offer products that cater to all your ethnic needs. TheEthnicStory.com is a one stop shop where you can discover and buy ethnic and traditionally designed products from ethnic home décor items to accessories, corporate gifting products and much more. We are not a marketplace, but we have collaborated with lifestyle product designers, artists and manufacturers to design products for us. We are currently a bootstrapped company and have not approached any VCs or investors. But we are looking at a funding of about 3 million rupees for further expansion of products, marketing and technical infrastructure development. I would say we follow an 80:20 ratio model in terms of sales. What I mean by this is 80% of our sales are online sales through our website and 20% of our sales are offline sales. These are big orders in terms of monetary value and volume. Majority of these sales come during the festive season of August - December when there is huge demand for gifts for various corporate events, delegation meets, weddings etc. How do you attract potential customers? Till now we were concentrating only on digital and online advertising by using Facebook ads and Google AdWords since we wanted to create brand awareness. We have just started affiliate marketing campaigns and cross branding with other brands. Apart from this we have also started displaying digital signages using a combination of motion graphics and explainer videos at restaurants and eateries. Since we want to acquire more customers we are doing a lot of email campaigns and also distributing coupons through efficient channels. Since ethnic products have an appeal worldwide, we are also using sponsored ads and display ads on big ecommerce players like Amazon. What are the future plans of The Ethnic Story? When we started we had products only from Rajasthan but now we have products from Maharashtra, Orissa, UP, West Bengal, Karnataka, Assam. We now want to have products from other regions as well. We do not want to just promote these products as arts and crafts products, we want to promote these products as lifestyle products. We will also have a feature where we will have interior designing tips and provide designs for people looking to decorate and set up their homes in ethnic and traditional style. There will be a fee charged for this service depending on how much work is involved for that service. This will generate additional revenue for us apart from the online and offline sales. We also looking at collaborating with different state governments to promote and market the products and handicrafts of that particular state. Our aim is to reach sales of 1 crore in the next 12 months and grow at a rate of 100% YOY. So far how has The Ethnic Story fared? On an average we have 250,000 visitors a month, but the conversions have not been as expected. That is why we want to use a majority of the investment for marketing and acquiring customers. Though we have a growth of almost 110% in terms of sales compared to the previous year, our volumes have not yet reached our expectations. The biggest challenge right now is finding the right technical team and someone with an in-depth technical know-how who could join me as a cofounder. The other challenge is finding the right craftsmen for the right kind of product since we as a brand offer different products and unique designs. Every day we come across new challenges be it coordinating with the logistics team, making sure the website is running smoothly or making sure that the right kind of product is made by the artisan. Author note - The export market for handicrafts is booming. India Brand Equity Foundation (IBEF) says, “In 2014–15, Indian handicrafts exports stood at US$ 4.5 billion, up approximately 15.4 per cent over the previous year’s exports." ASSOCHAM reports, “The total export of handicrafts is expected to nearly double to US$ 2.7 billion in FY 2015-16 and further increase to US$ 3.8 billion by FY 2020-21”. Indian handicrafts are exquisite and valued worldwide. Every Indian state has a variety of handicrafts reflecting their enormous history and religious values and owning a piece of such magnificence is a matter of pride. We know that there is immense potential in this industry be it DIY products, handcrafted products etc. India exports almost 5,000 million art and craft products annually. Indian handicraft items ranges from wooden stone, metal, glass, bamboo, cane, clay, terracotta ceramics, and textiles. Majority of its production is exported to different countries. The most popular items in Indian handicrafts are brassware, pen holders, vases, candle stands, Christmas items, ceramic pots, and other products of paper. Different states of India like northeastern Manipur, Tripura, Northern States of Rajasthan, Gujarat, Kashmir or the southern part of Maharashtra, Tamil Nadu, and Kerala are popular for its handicraft collection. Each States offers a wide range of handicrafts, with its own identity. There are lot of players in this industry, big names like Indianroots or Craftsvilla; but they focus more on apparels while ours is purely about décor and gifting so we would also consider quirky brands like Chumbak as one of our competitors. The Ethnic Story is a combination of traditionally designed products and handicrafts, and also quirky and creative products like upcycled bottles, bottle lamps, vases etc.